The 26 Air Force F-35s Lightning II joint strike fighters assigned here returned to limited flight operations July 17 with the approval of commanders and Air Force airworthiness authorities. The decision to return to flight was coordinated between the F-35 Joint Program Office, Air Combat Command, Air Education and Training Command and Air Force Materiel Command to ensure accurate return to flight instructions were delivered to Airmen. The Navy and Marine Corps variants here also returned to limited flight operations July 17 with the approval of Navy airworthiness authorities. The return has a limited flight clearance that includes an engine inspection regimen and restricted flight rules according to defense officials. While the safety investigation is not yet complete, recently completed inspections indicate that the aircraft can resume flight under the prescribed flight limitations. The limits will remain in place while the safety investigation continues its analysis to determine root cause. Under the rules of the flight resumption, the F-35s are limited to a maximum speed of Mach 0.9 and 18 degrees of angle of attack. They can go from minus 1 G to 3 Gs, defense official said. After three hours of flight time, the front fan section of each engine has to be inspected with a borescope. “In terms of our current training syllabus, we don’t anticipate these flight limitations will slow down our training,” said Navy Capt. Paul Haas, 33rd Fighter Wing vice commander. Despite the grounding, Air Force, Marine and Navy F-35 maintainers and pilots remained busy completing academic and flight simulator training and conducting additional inspections on the aircraft. While the F-35s have returned to limited flight, it will not be appearing at the Farnborough International Airshow in the United Kingdom, Pentagon Press Secretary Navy Rear Adm. John Kirby said during a Pentagon news conference July 15. The F-35 fleet was grounded July 3 in the wake of a June 23 engine fire on the runway at Eglin . No one was injured during the incident. During a speech at AUVSI’s Unmanned Systems 2014, Federal Aviation Administration (FAA) Manager of UAS Integration Jim Williams has announced that the FAA is working with several industries to expedite some limited commercial operations of UAS before UAS rules are finalized. “We applaud the FAA for working collaboratively with the industry and other stakeholders to help UAS technology begin to take off,” said AUVSI President and CEO Michael Toscano. “These industries represent the examples of the commercial potential that we highlighted in our economic report last year. The report found that in the first decade following integration, the UAS industry will create more than 100,000 jobs and $82 billion in economic impact. However, each day that integration is delayed will lead to $27 million in lost economic impact,” said Toscano. The U.S. Special Operations Command is using unprecedented outreach and collaboration to develop something special with revolutionary capabilities. The Tactical Assault Light Operator Suit, or TALOS, is the vision of Navy Adm. William H. McRaven, SOCOM’s commander. He challenged industry and defense representatives at a SOCOM conference in May 2013 to come up with the concepts and technologies to make the suit a reality. The goal is to offer operators better protection, enhanced performance and improved situational awareness. “The TALOS program is a collaboration of efforts,” McRaven said. “We are teaming with 56 corporations, 16 government agencies, 13 universities, and 10 national laboratories and we are leveraging the expertise of leading minds throughout the country to redefine the state of the art in survivability and operator capability. Exactly what capabilities the TALOs will deliver is not yet clear, explained Michael Fieldson, SOCOM’s TALOS project manager. The goal is to provide operators lighter, more efficient full-body ballistics protection and super-human strength. Antennas and computers embedded into the suit will increase the wearer’s situational awareness by providing user-friendly and real-time battlefield information. Integrated heaters and coolers will regulate the temperature inside the suit. Embedded sensors will monitor the operator’s core body temperature, skin temperature, heart rate, body position and hydration levels. In the event that the operator is wounded, the suit could feasibly start administering the first life-saving oxygen or hemorrhage controls. Fieldson admitted that the analogy to the suit that the Tony Stark character wore in the “Iron Man” movies may be a bit of a stretch. The TALOS, for example, isn’t expected to fly. But beyond that, there’s little that Fieldson — or anyone else at SOCOM — is ready to rule out. In a departure from past practices of introducing new products piecemeal, adding bulk and weight to operators’ kit, the TALOS will be a fully integrated “system of systems,” Fieldson said. To offset the weight of computers, sensors and armor that make up the suit, operators will have an exoskeleton — a mechanism that carries the brunt of the load. Keeping the systems and the exoskeleton powered will require more than today’s batteries can deliver. So along with the TALOS technologies, SOCOM is calling on the scientific and technical community to come up with reliable and portable power sources. “We are really looking at stretching the bounds of science and technology,” Fieldson said. That’s led SOCOM to reach out to partners within DOD as well as industry and academia for help in pushing today’s technological limits. DARPA, for example, is making headway on its Warrior Web project, designed to boost troops’ stamina and carrying capacity without sacrificing speed or agility. The concept includes a lightweight undersuit that would augment the efforts of the wearer’s own muscles. The Natick lab is busy identifying high-technology armor and mobility technologies with plans to integrate them into a first-generation TALOS system ready for demonstration by the end of June, reported Greg Kanagaki, project engineer for Natick’s Unmanned Equipment and Human Augmentation Systems Team. Meanwhile, RDECOM officials say their programs have a direct application to TALOS as well. “[The] requirement is a comprehensive family of systems in a combat armor suit where we bring together an exoskeleton with innovative armor, displays for power monitoring, health monitoring, and integrating a weapon into that — a whole bunch of stuff that RDECOM is playing heavily in,” said Army Lt. Col. Karl Borjes, the command’s science adviser. “There is no one industry that can build it,” SOCOM’s Senior Enlisted Advisor Army Command Sgt. Maj. Chris Faris said during a panel discussion at the command’s MacDill Air Force Base, Fla., headquarters, as reported by the Defense Media Network. The outreach has generated a lot of interest. SOCOM’s TALOS planning session this past summer attracted representatives of 80 colleges, 10 universities and four national laboratories. At a demonstration in July, 80 companies demonstrated technologies ranging from advanced body armor, some using liquids that turn solid on impact, to power supplies to exoskeleton mechanisms. SOCOM’s goal, Fieldson said, is to have a TALOS prototype within the next year and to have the suit ready for full field testing within five years. That timetable is revolutionary for the military research, development and acquisition world, even for rapid-equipping programs. As the only combatant command with acquisition authority, SOCOM is able to accelerate the TALOS project, Fieldson explained. The command’s acquisition executive and research and development staff share a building at MacDill Air Force Base, which he said promotes close collaboration and speedy decision-making. Also, in a departure from traditional development projects, SOCOM’s Acquisition Center staff established an innovation cell to lead the effort, advised by operators and focused on transforming business processes to solve the extreme integration challenges associated with TALOS. “Because of the technical challenges and the compressed timeline, we are going to take more ownership on the government side than we typically take,” Fieldson said. “We are going to go in and make some decisions that we sometimes rely on industry partners to make for us,” he said. “That allows us to reach out to a broader audience. That way, if there is a great idea in some nontraditional organization, we can integrate it” without relying on a commercial company to do so. U.S. Army Research, Development and Engineering Command is a major subordinate command of the U.S. Army Materiel Command. AMC is the Army’s premier provider of materiel readiness — technology, acquisition support, materiel development, logistics power projection, and sustainment — to the total force, across the spectrum of joint military operations. More U.S. F-16 Fighting Falcons will deploy to Poland in the coming days and weeks, a Pentagon official said here today. The Royal Brunei Air Force (RBAF) is set to acquire three CN235-220 aircraft from Indonesian aerospace company PT Dirgantara Indonesia (Persero) for maritime patrol and anti-submarine (ASW) operations. Persero spokesperson Teguh Graito told IHS Jane’s on 12 February at the Singapore Airshow that he had received strong indications from the RBAF that they had come to a decision. Acquisition details are expected to be finalised soon. 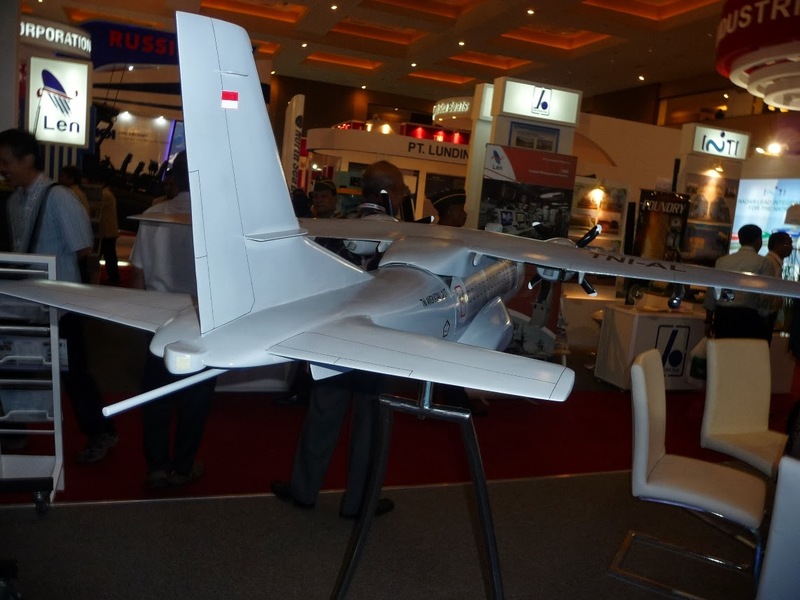 Colonel Shahril Anwar Bin Hj Ma’awiah, director of the Directorate of Force Capability Development at the Brunei Ministry of Defence (MINDEF), told IHS Jane’s in December 2013 that one of the country’s priorities was the acquisition of fixed-wing maritime patrol aircraft. Lt. Cmdr. Rob Littman, an F/A-18 pilot assigned to the “Ragin Bulls” of Strike Fighter Squadron 37, is a U.S. Navy pilot who had the opportunity to land on Charles de Gaulle. Capt. Bob Roth, Truman’s commanding officer, said it was a unique experience being able to execute flight operations with jets and pilots from the French carrier. Sweeney said operations weren’t limited to just the aircraft carriers. “Regional stability and these cooperative relationships both contribute to safeguarding the region’s vital links to the global economy,” said Combes. The Chief of Naval Operations recently approved the Undersea Domain Operating Concept (UDOC) to ensure the U.S. Navy maintains undersea superiority into the future. Navy Warfare Development Command (NWDC) worked with commander, Submarine Forces and other stakeholders to develop this concept. Navy concepts are ways to stimulate innovation and the UDOC is a consolidation of many new ideas. The UDOC describes how expanded use of the undersea domain contributes to cross-domain synergy, providing significant joint warfighting advantages. It provides a conceptual framework from which senior military leaders can better recognize and employ the effects and capabilities of undersea forces in joint warfighting. The concept explores several specific contributions of undersea maneuver as well as some enabling capabilities that will support expanded use of the undersea domain. An accompanying action plan sets the stage for more detailed products including integrating and enabling concepts and concepts of operation that inform future doctrine and tactics, techniques and procedures.